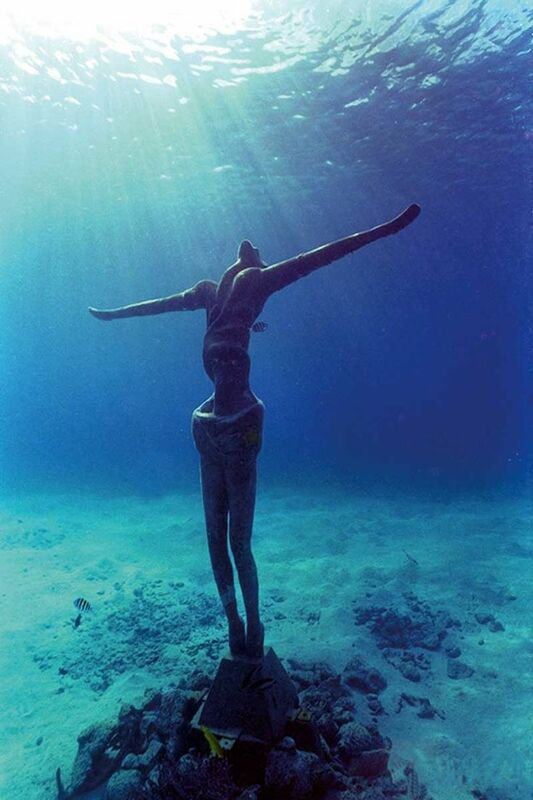 There are truly a large number of popular dive sites around the world, but you will not find many that top the list annually with religious shrines. 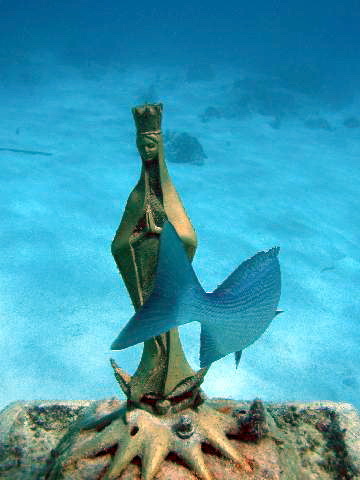 These memorials include statues of the Virgin Mary and Christ in an underwater location that speaks of peace and serenity. Placed originally in 1987, the Christ Statue stand at a whopping 14 feet or over 4 meters tall. 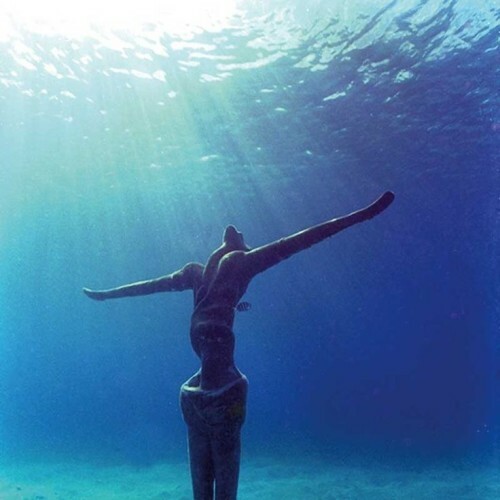 Perhaps what makes these statues even more popular is the fact that they are crafted from bronze and don’t require scuba gear to get a great picture. 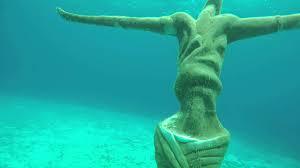 Their location is in the even popular Cozumel Chankanaab which is part of the Meso-American Barrier Reef. The site is excellent for snorkeling and scuba diving. To see more about diving the Cozumel Meso-American Reef or sometimes called the Great Mayan Reef click on the link here. Cozumel Meso-American Reef.